Get in loser, we're going hiking! 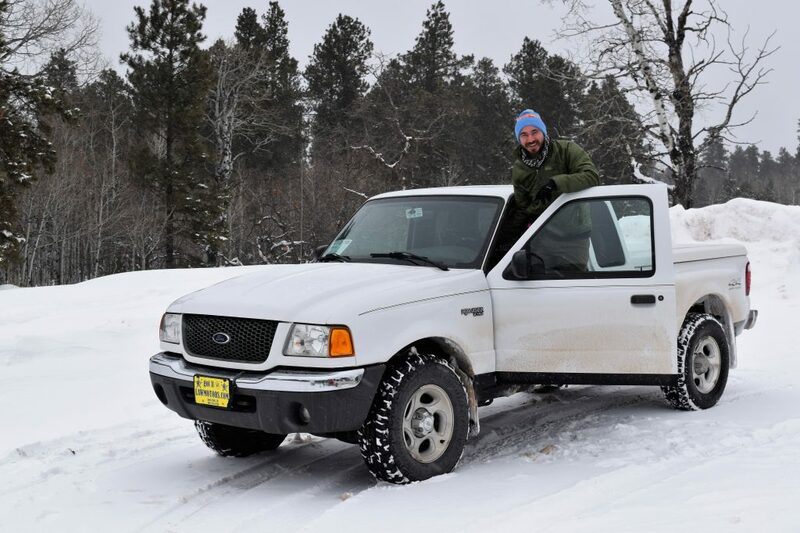 Just before 2018 came to a close, I swapped my 2009 Impala for a 2001 Ford Ranger. What inspired me to buy an old truck? 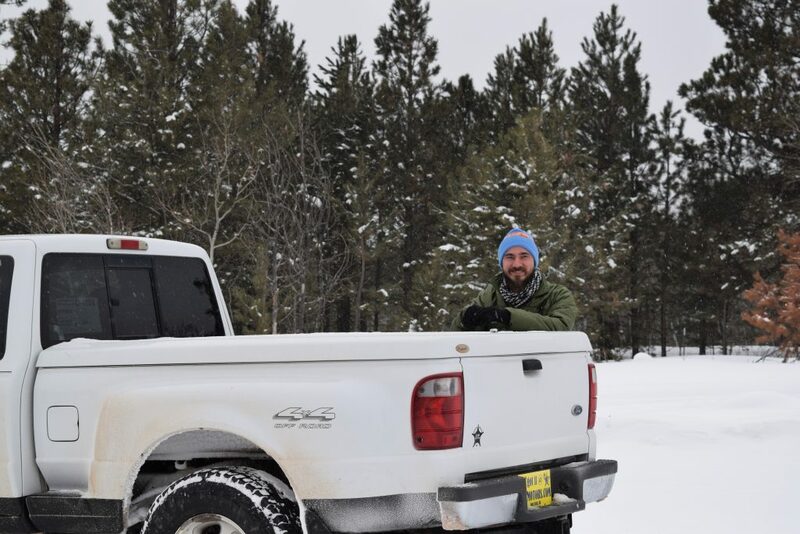 Well, it suits my needs here in the Black Hills much better than the sedan did; there’s just some places that you can’t really explore without four wheel drive – especially in winter. 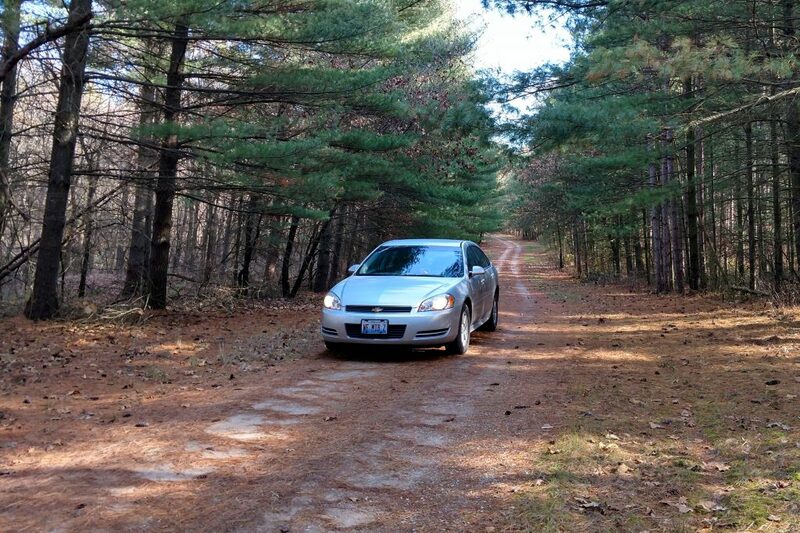 The Impala did a decent job back in the flat lands of Illinois, but she just doesn’t do well here in the Hills. Before committing to buy an old truck, I put a lot of thought into the change. I knew I wanted something reasonably sized, with four wheel drive, and as decent of gas mileage as possible. Also, cheap. It had to be cheap. 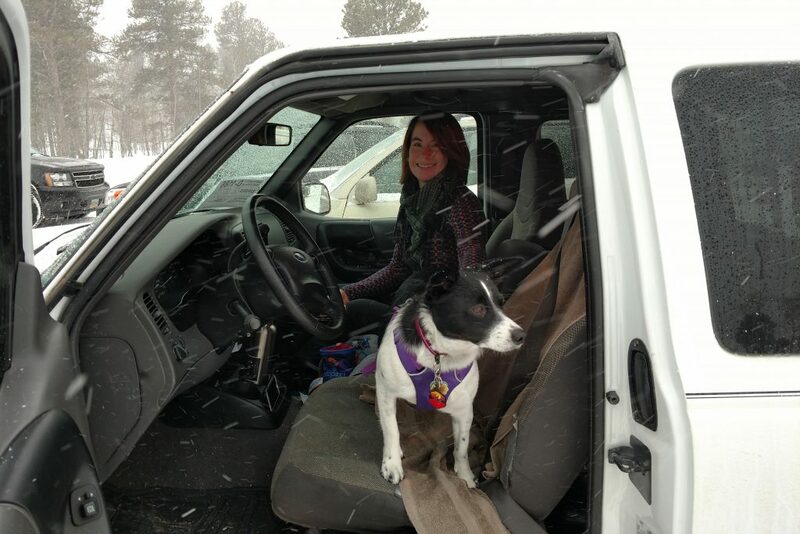 After a little shopping, and a test drive, I bought my first truck, a 2001 Ford Ranger XLT. 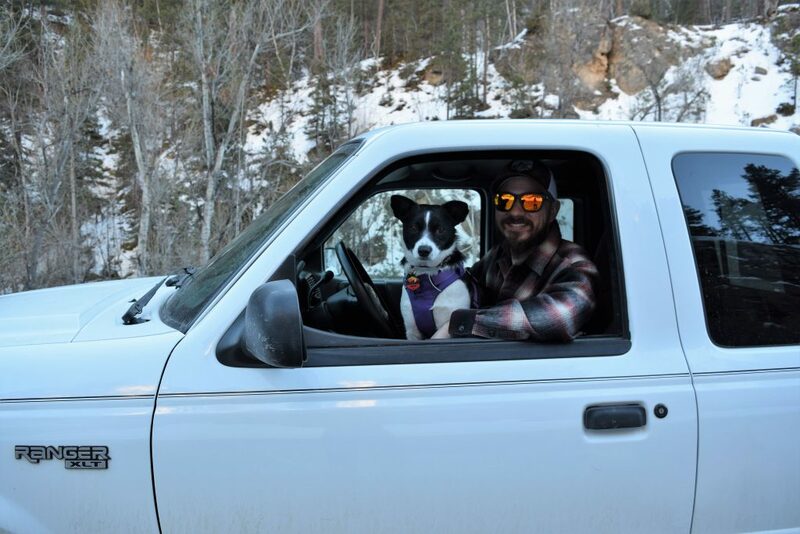 Get in loser, we’re going hiking! Despite loving trucks and wanting one for a few years, the closest I’ve ever come, until now, was a GMC van. Which is actually a little surprising. Trucks have always been part of the fabric of my life, even if they weren’t mine. I got my first experience driving behind the wheel of my dad’s trusty rusty Dodge Ram on the way back from a fishing hole. Fear and the grace of gods kept me upright while truckbed surfing in the back of a rusted out Chevy S10. I cackled wildly in the passenger seat when my buddy pulled down my mom’s old shed in his lifted F350. I helped push and dig out other guys’ trucks after we got them them stuck while mudding in some farmer’s fields late at night. My first turn behind the wheel was in that old Dodge in the background. 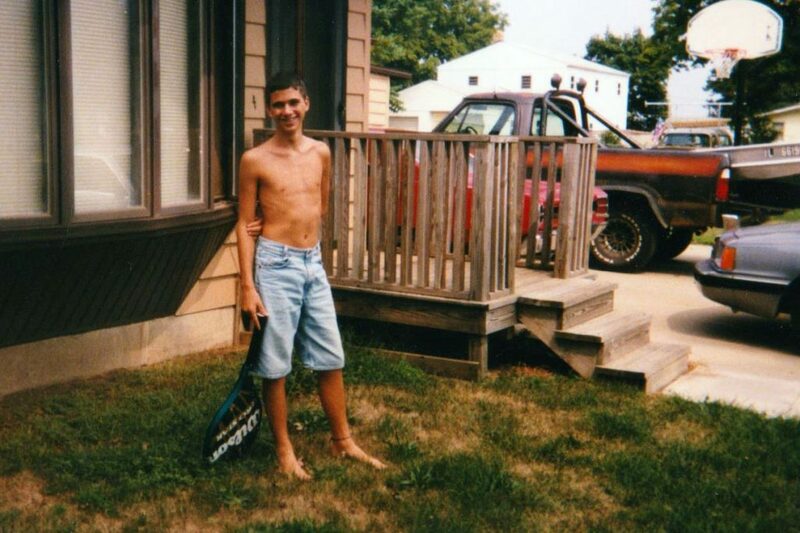 Also, I was a very wiry teenager. Despite doing all that fun stuff that you do in a farm and factory town when you grow up with redneck buddies, I went almost 36 years driving mostly sedans (and that one van). Now I’m the proud owner of my own new old truck, and I couldn’t be happier. Of course, 18 years isn’t that old, but in the world of automobiles, a vehicle that’s old enough to vote isn’t exactly a spring chicken. That’s okay, I’m not exactly a kid anymore myself (maturity level withstanding). I’m still a kid at heart, and so is my Ranger. Even though we’re both legal adults. Some people have tried to rain on my parade though. They get hung up on the number on the odometer, fuel economy, and other such concerns. Some of those concerns have validity, but the truth is, I thought about all that before I made my decision. I made a conscientious choice to buy an old truck, ultimately for five very good reasons. Let’s be honest straight out of the gate. One of the best reasons to buy an old truck is because they’re inexpensive. Of course, this varies depending on make, model, mileage, year, and trim, but unless you’re looking at something special and unique you won’t pay anywhere near the amount you would for a new truck. To buy the 2001 Ranger, Clarissa and I paid roughly $6000. Compare that to the soon to be released 2019 Ford Ranger XL – the base model – with an estimated price tag of $24,000. And that’s a pretty low list price for a truck. When you start looking at larger models with additional packages, you can easily spend $70,000 or more on a truck. This is how every guy in my high school posed for his senior picture – except they didn’t smile (it wasn’t cool, yo). I don’t know about you, but I’m not currently in the position to drop $24K on a truck, let alone $70k! Meanwhile, my 2001 Ranger does everything I need it to. True, she doesn’t boast the fuel economy or shiny newness of the 2019, and I had to invest some money in brake work and seat covers but that’s part of the trade off. Still, when you think about that fuel economy, the $18K I saved buying an old truck will buy a lot of gas over the next few years. If you’re not picky, you can probably jump on Craigslist or walk into a dealership today and walk away with the keys to your new old truck. When I started looking to buy an old truck, I found literally hundreds within a fifty miles radius. Given, I live in a small town in a rural environment, but I’m betting that wherever you’re at, you probably have quite a few to choose from as well. There are just pages and pages of old trucks on Craigslist. I ended up buying the Ranger while we were about five hours away visiting my in-laws during the holidays. Why? Largely because I could snag a higher trade-in value for my Impala in a slightly more metropolitan area. 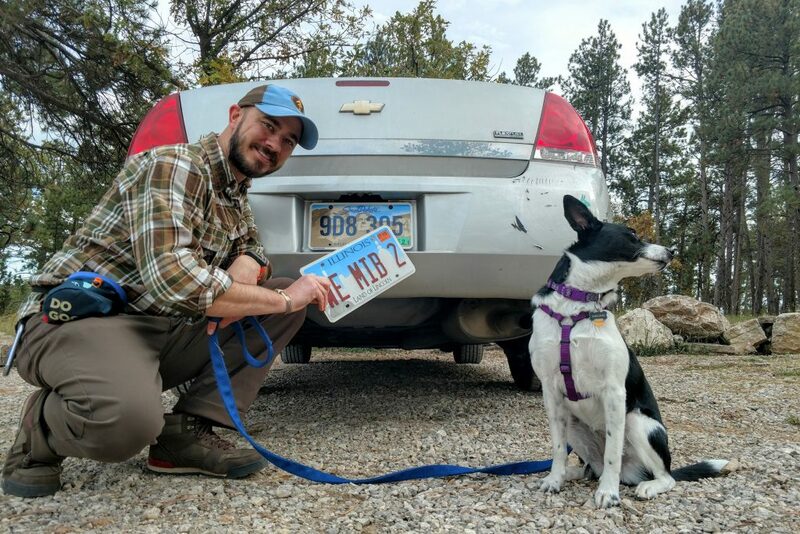 Apparently people in a small town surrounded by National Forest at the mouth of a canyon have less interest in driving Sedans. Who knew? The Impala served us well, but Inkling knew we shouldn’t be driving a sedan anymore. Another benefit of the availability of these trucks is that you can still easily find a lot of parts for them, both aftermarket and sometimes just in old junkers. It may require a little seeking and searching, but unless you’ve selected something rare, you can find whatever parts you need. 3. They’re already worn in. The seats in my new old Ranger have lots of stains. The driver’s seat has a decent sized tear along the side. The rims don’t shine like they once did, and some parts of the body have been replaced and essentially rhino-lined. She’s old enough to vote, serve her country and buy cigarettes – I didn’t make it to 18 without scars either! Until we get seat covers installed, a little duck tape and some old towels have done just fine! If you decide to buy an old truck, it will probably come with some nicks and dings, a spot of rust here or there, maybe some replacement parts, and miles. Lots and lots of miles. But instead of looking at this like a bad thing, consider it a positive; somebody else has already done all the wearing in for you. Consider the hypothetical $70,000 truck I mentioned before – maybe you got a great deal on a 2018 Chevrolet Silverado High Country. 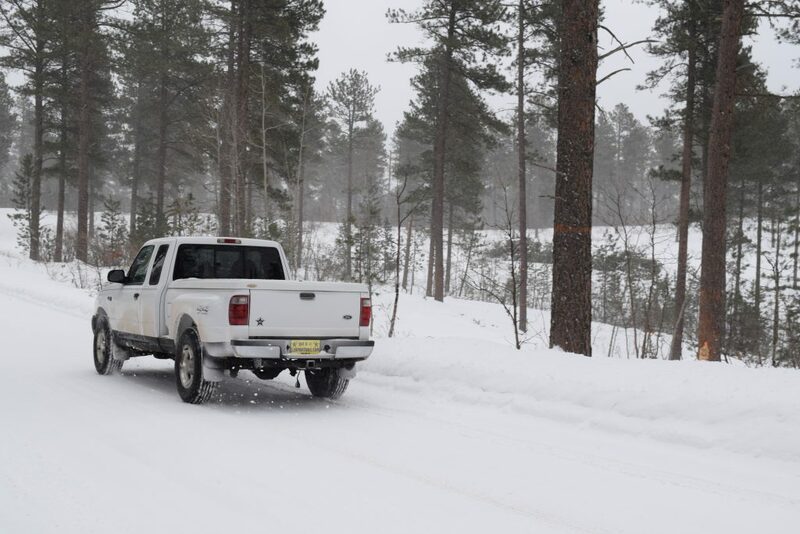 Now that you have that expensive vehicle in your driveway, how prepared will you be to take it on roads snaking through public land, with low hanging branches, and thorny bushes on the side? Maybe you’d be a little more inclined to tread lightly, since your truck costs more than some people’s homes. I don’t have to worry about nicks and dings on the truck. She has a job to do – staying pretty isn’t it. Whenever my dad bought a new car or motorcycle, he’d give it a kick. This takes the piss right out of cosmetic worries preventing your from using the vehicle as intended. When you buy an old truck, it comes with scratches and battle scars, so you don’t have to worry if you add more – no second guessing if your side mirror will catch that boulder, or the branch will drag across your door. Just go where you want, and toss whatever you want in the bed. Of course, that wearing in comes at a cost; out of the gate we put an additional $400 into repairing the brakes on the Ranger. But that wasn’t altogether unexpected, and even with that cost I’m still not in the same ballpark when it comes to the expense of a new truck. 4. Old trucks are honest. Maybe this is a bit of nostalgia talking, but bear with me. A new vehicle, be it a truck, SUV, or sports car can lie to you. Auto makers don’t market vehicles based on their capabilities, instead relying on feelings to sell cars and trucks. With that new car smell and simulated engine roar, it doesn’t matter if your SUV is a glorified grocery-getter, because it can make you feel like an off-roader even when you’re headed to the mall. Many of us buy things, including our cars, based on feelings. There isn’t anything inherently wrong with this. It’s not a bad thing to have emotional attachment to vehicles – I shed legitimate tears when I traded in that GMC Safari Van that I inherited from my father. Auto makers and dealerships try to sell to your feelings, and that gets some people in trouble. But it’s hard to find emotional marketing for an old truck. No one is putting out ads for a 2001 Ford Ranger, tugging at heartstrings for an 18 year old ride. We’re the low hanging fruit, so there’s no need to bring out the hard sell. If they marketed 18 year old trucks, I would happily work as a spokesmodel. That doesn’t mean I have no emotional attachment to the truck. 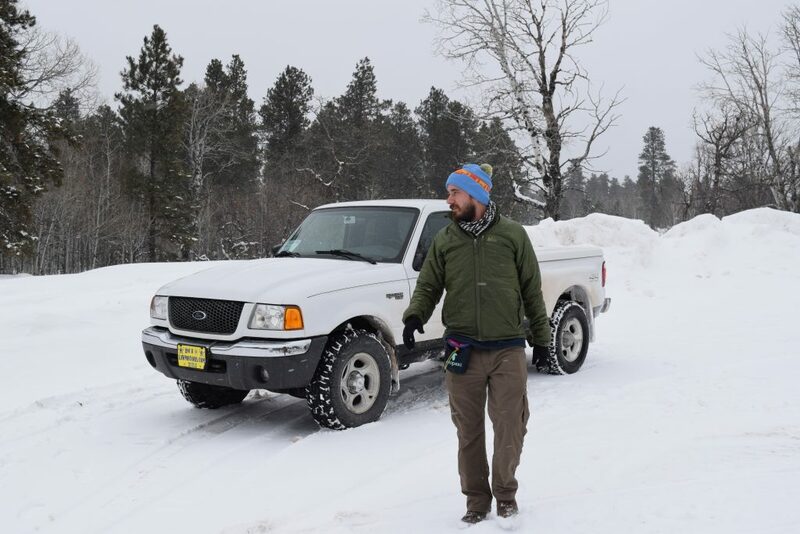 It’s simply more grounded in what it can do; power through snow in four wheel drive, handle the forest service roads I spend time on, haul a decent load in the bed, and go zero to sixty in… eventually. Possessions are only impressive because they are used, so the expensive truck sitting in a driveway is meaningless to me. I wanted to buy an old truck because it’s an old truck. It’s not glamorous or redneck chic, it just does what it does. I like that honesty. I wanted to get a truck to do the things I enjoy, but better. 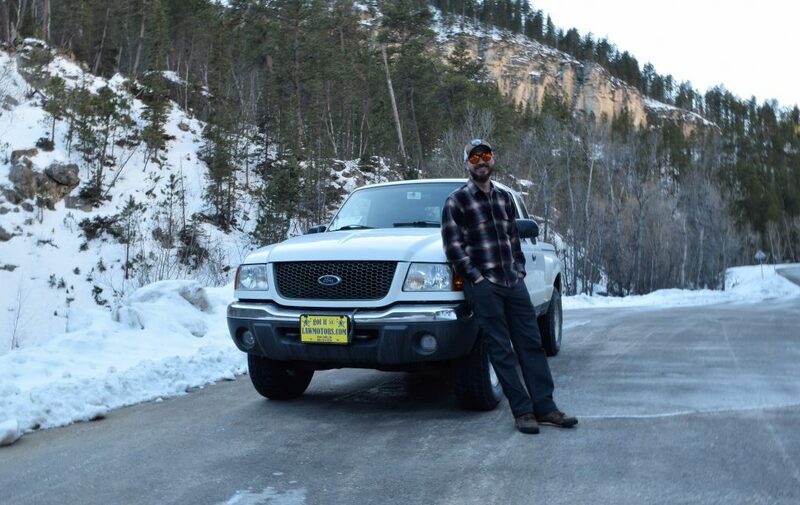 Public lands camping, building things, exploring the uneven terrain of forest service roads. I did all these things in my Impala, but I can do them better, and more safely, in a truck. These activities are fun, so by the means of the transitive property, the truck is fun. 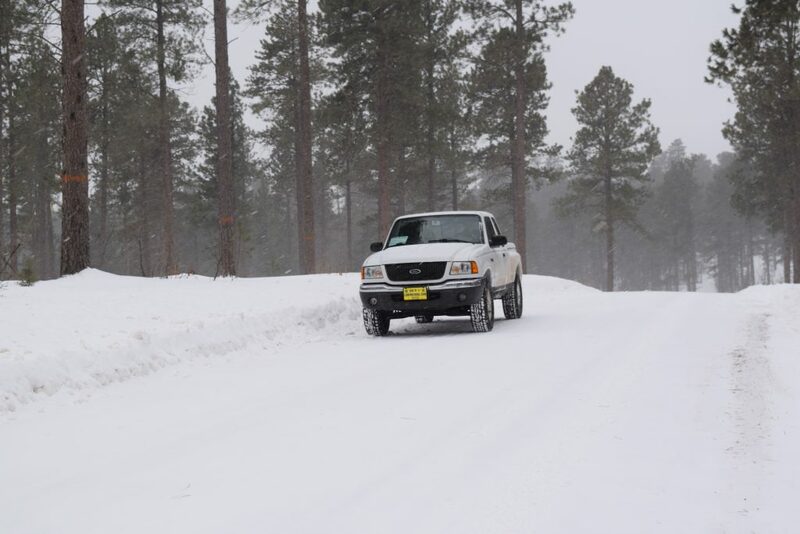 Now I enjoy driving forest service roads covered in snow and ice. In all honesty, fun might be the best reason to buy an old truck; all the other examples in this list lead up to this one. An honest, inexpensive, easy to fix or replace truck that you don’t have to worry about scratching or denting gives you a lot of freedom to have fun. And fun is one of the most important parts of life. Should I Buy an Old Truck? At this point in the post there are probably two kinds of people still reading; those considering buying an old truck, and those that want absolutely nothing to do with one. If you’re the latter, thanks for hanging in this far. Whatever you vehicle choices may be, I hope you enjoy your ride. But for the former, well my friend, maybe you should buy an old truck of your own. In the end, a vehicle is a tool. Some work better under certain conditions, and some excel at certain tasks. You can use a screwdriver as a chisel, but it won’t work nearly as well as the intended tool. Right now in my life, the Ranger is the right tool for the job at hand. Getting me from point A to point B is part of that job, but having fun is also part of the job. But damn, I’ll gladly sacrifice the luxury of a new car for that fun part.